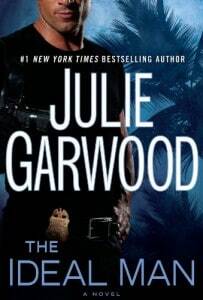 I’m pretty sure this is the first Julie Garwood novel that I’ve read. I’m usually pretty good at selecting a book based on it’s synopsis. I guess there are exceptions to every rule. It had a decent plotline, a surgeon jogging in the park witnesses a shooting of an FBI agent by a notorious “Bonnie and Clyde” type couple. When and if they are captured she will be called to testify but past witnesses have been frightened away or disappeared completely. A nearly obsessed FBI agent determined to see them behind bars. I really thought that this was going to be quite a suspenseful novel. Dr. Eleanor “Ellie” Sullivan is brilliant and beautiful. She’s also the best trauma surgeon around. She witnesses the shooting and saves the life of the agent who was shot. Max Daniels is assigned to Ellie, taking her testimony and determining whether or not she could testify against the Landrys. Ellie is determined not to let anything keep her from going home for her sister’s wedding – even though it’s the last thing she wants to do. Assaulted as a child by an obsessed older teen, she has to make sure Evan Patterson isn’t in town before she can even go home. The restraining order against him has expired and he has disappeared after he was released from the latest mental institution he was in. Between the sister who is marrying her ex-boyfriend, her attraction to Max (who follows her home in order to protect her after another witness goes missing) and her over-protective parents who feel it’s their fault she had to be sent away for her own protection after she was attacked, this story has too much going on. It would have been much more interesting if they had dropped the shooting and found a way to make Evan Patterson’s character the reason she needed protection from the FBI. The “notorious” criminals just felt like a superfluous addition in order to have these characters come together. A good story over all, but to be honest, I can’t say that I will be rushing out to buy more of Julie Garwood’s novels.